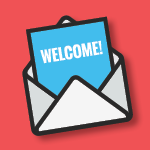 How does your Chamber welcome new members? Do you simply fire off a quick, generic email to them and move on to the next thing on your to-do list? If so, you need to change your approach: Sending a Welcome Email to new members is an enormously valuable opportunity that only happens once. Don’t pass it up. Using a recognizable sender name and email address is critical. Remember, the sender name is just as visible as the subject line in an inbox. On mobile devices, it’s even more visible. The sender name also greatly impacts open rates. Be sure to use a real person’s name with the organization’s name. For example, “Scott from MemberZone” is far more effective than “Scott” or “The MemberZone Team”.